Introducing new challenges while keeping curiosity alive. In Darlington's lower grades, we strive to connect the natural curiosity within each child with a love of learning. We introduce new challenges and encourage individuality as students learn to collaborate, perform, and create. Exploration is encouraged and even integrated into curriculum as grade-level and full lower grades exploratory classes promote active learning. Through STEM activities, MakerSpace projects, and even play, third- through fifth-graders learn and thrive together. Lower grades students enjoy classes dedicated to art, music, Spanish, math, science, language arts as well as regular visits to the library. All Darlington lower grades teachers and teaching assistants Orton-Gillingham Classroom Educator trained, and technology is a key tool that is integrated into every child's learning experience. Each third- and fourth-grader uses an iPad, while fifth-graders transition to a MacBook Air for classes and collaborative projects. Children leave the lower grades prepared for middle school and eager to share their unique passions and talents. Exploratory is a favorite part the schedule for our third- through fifth-graders! They have opportunities to join together as a community and explore new topics with hands-on experiences. They may study weather patterns through art and science or learn about current events through STEM activities and even dance parties. 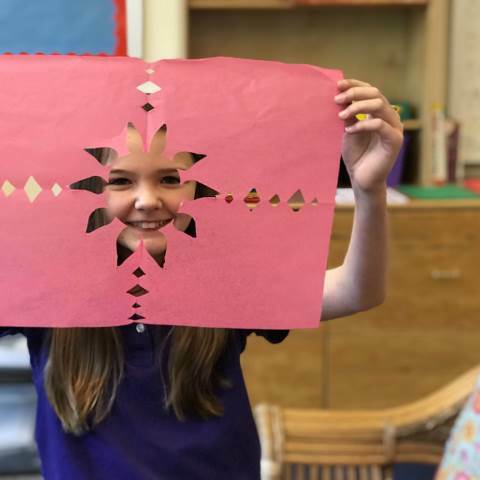 In the third through fifth grades, our students begin to develop lifelong skills and confidence through the third grade Wax Museum, fourth grade Fantasy Storytelling Festival, and the fifth grade Science Fair. Hear about the importance of project based learning from their teachers, Julie Fine and Jamie Massey. All Darlington lower grades teachers and teaching assistants are Orton-Gillingham Classroom Educator trained. This advanced training draws on developmental neuroscience to provide an optimal education experience. Meet them! The lower grades daily schedule is built around the way students naturally learn. Longer time between transitions and deeply engaged teachers allow student to see projects through from start to finish while deeply exploring the subject matter with freedom and confidence. Every day is full of discovery. Take a look at the incredible things our lower grades students have accomplished.